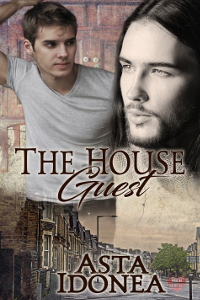 When Zach moves into his new flat, the last thing he expects is a nocturnal house guest. Zach is thrilled with his new flat, until strange noises disturb him. Who wanders his home at night, laughing and singing, and why is the place always spotless when he never cleans? There was no mention of a house guest in the contract, but it seems Zach has a nocturnal visitor. Bogdan never expected to end up in Zach's tiny flat, but now that he's here, he intends to make the best of it. Zach seems preferable to his last master, and he waits for the right moment to announce his presence. He doesn't count on Zach's determination to seek out the truth himself in the meantime.